WHITEWATER RAFTING 10 KM- Best Seller!! The best 10km whitewater the Mae Taeng River has to offer. Join us on this exciting, action-packed class III-IV section of whitewater. Impressive drops with superb scenery – you will not be disappointed. WHITEWATER RAFTING 8 KM- Great For Families!! Rafting 8 Km on the Mae Taeng River – class II-III. Pass by elephant camps; meander down waterways beneath the lush forest canopy ~ this is a great rafting trip for families. 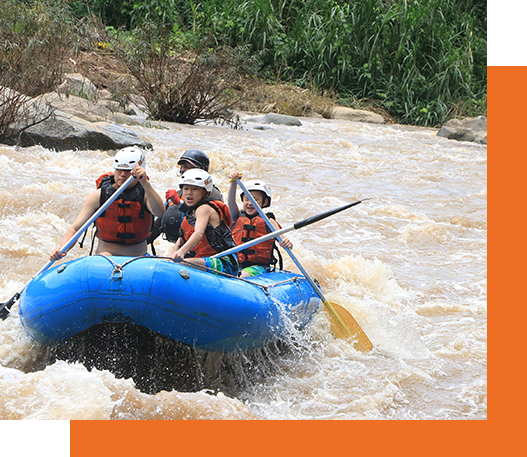 8Adventures is the premier whitewater rafting Chiang Mai outfitter. Serving up the highest quality Whitewater Rafting and kayaking adventure trips on the Mae Taeng River. 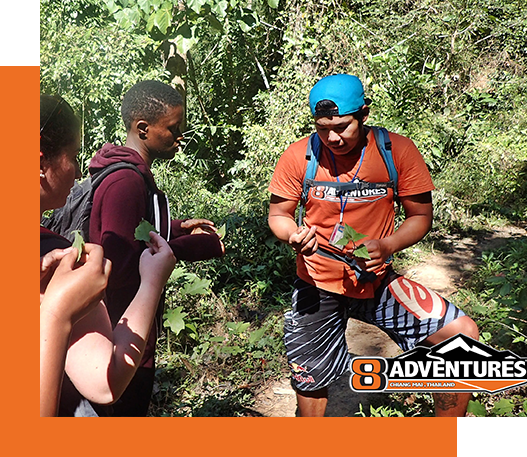 8Adventures also operates international trips on some of the best rivers in the world. Run by world class adventure enthusiasts; 2-time World Champion Kayaker Eric Southwick and Thai National and Asian Champions Kriangsak Boonsom and Ekwit Chuapoon. Come join us on a whitewater rafting trip in Chiang Mai or on another amazing rafting trip around the world. WHITEWATER RAFTING 10 KM – Most Popular! Join us on this exciting, action-packed class III-IV section of whitewater. Impressive drops with superb scenery – you will not be disappointed. WHITEWATER RAFTING 8 KM – Great for kids we will skip the bigger rapids! 3-hour trekking adventure to a waterfall is a nice way to see the jungle and cool off in the water. The trek itself is about 1.6 km through the jungle to a 10 m waterfall. 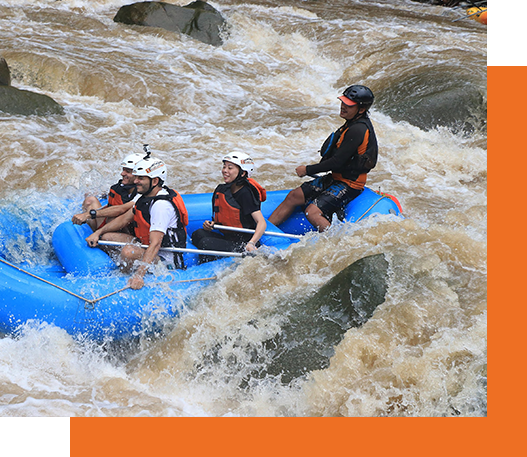 The rafting section is an action-packed with rapids and is probably the best Whitewater in Thailand. An Action packed day for the adventurous at heart, 31 station zip line. 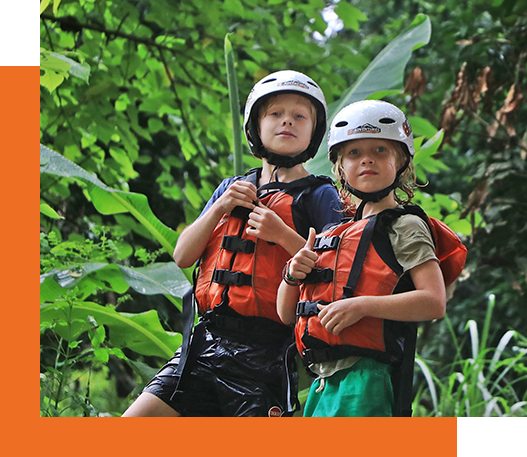 Fly through the jungle back and forth across the river, then take part in a 1 hr ATV tour covering a mix of road and off-road jungle terrain and then enjoy 10 km White water rafting on the best whitewater in Thailand. Thailand has so many beautiful places but it is not so well known for whitewater rafting, But Thailand has many beautiful rivers. Thailand does not have snow capped mountains so al the rivers are rain fed meaning they go up real high when it rains and then get real low when there is no rain because there is no slow release of snow to keep the river full. There are natural springs so the main rivers of Thailand have water in them all year round but large differences with heavy downpours. This is something to be weary of around rivers in Thailand if you are exploring on your own make sure there is not a big storm system coming in or some major weather event going on upstream of you because flash floods do happen here.